A standard frame and door with 6mm patterned cotswold glass and a very well worn lock and handles. This particular item was constructed out of solid Mahogany (Sapele) with an Osmo teak fungi protection stain and a oil UV protection top coat. The glass is now 4/10/4 18mmK toughened double glazed units and the door has 2 sets of draught proofing around it, also a storm cill. The external glazing bead was constructed as a single frame work section so the water can not penetrate the end grain extending the life of the bead. 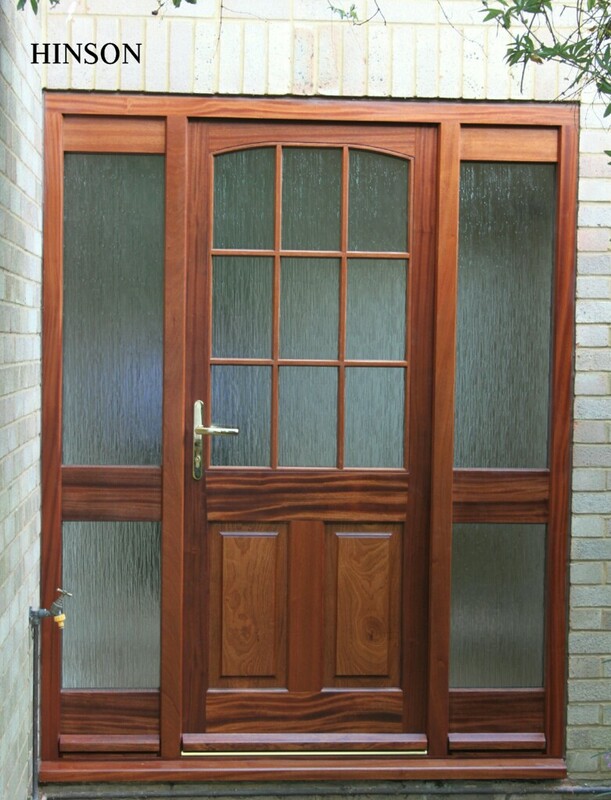 For security a Wink haus multi point locking system with 10 years manufacturers warranty.